In the year 1964 when the Summer Olympics was hosted in the city of Tokyo, the world was introduced to dynamic transportation system with the invention of shinkansen, the fastest bullet train that became synonymous to Japan. The high-end infrastructure and commercial complex space in Japan drive its citizens to work collectively and achieve a common goal- progression. Countries often introduce new revolutionary technologies during the Olympics to transform the paradigm and offer its guests and citizens a better place to live! The most futuristic, complex and ever-evolving city Tokyo currently houses the complex urban transportation system, busiest stations, tallest towers and second most Fortune 500 companies in the world. The city never sleeps and stays relentlessly curious to experiment, engage and evolve with new technologies every day. Here are some of the awe-gaping innovations that city will surprise you with at the upcoming 2020 Olympics. According to the Japan’s governing committee, the “Robot Village” will be in Tokyo’s Obaida neighbourhood that will also be home to the athlete’s Olympic village. An army of robots will be swarming the streets of Tokyo to help the foreign players, officials and visitors to translate language, carry their luggage, check in to hotels and lodges, drive them to sightseeing and help with directions. Polite and personal robot machines will be catering to an estimated 9,20,000 foreign visitors. Japan is a proud patriot country where the English-speaking skill is minimal, however, the expats and the overall demand of learning Japanese has skyrocketed in the last few years. The language translation app VoiceTra introduced by the National Institute of Information and Communication Technology of Japan, offers translation services accommodating 27 languages. 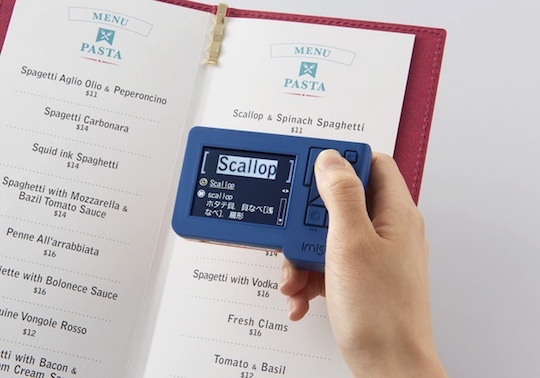 Panasonic has further devised a palm-size gadget to be worn around the neck that will translate Japanese into 10 different languages. Further, it will also translate the signs and symbols instantly helping the visitors to understand and remove the language barrier completely. The company is working to include as many as language translations to help visitors from different nations seamlessly understand and enjoy their time. Japanese companies DeNA and ZMP unveiled the new iteration of their self-driving Robot Taxis and have given a major setback to the top automobile geniuses of Germany like BMW, Toyota, Volkswagon etc. The driverless taxis will be operated by robots and steer clear of the accidents, speed issues and following the right directions with ease. The plan is to make the entire Olympic Village hydrogen-powered, complete with at least 100 fuel cell-powered buses, press lounges, and athlete dorms. The government also wants 6,000 of cell-powered cars in the road, AutoBlog reports, with 100,000 on streets by 2025. There’s even going to be a giant pipeline constructed underground that’ll directly funnel the hydrogen into the Olympic Village. Further, the Japan government has sanctioned solar roads for a seamless energy conservation and enable the resin covering to allow resisting traffic. Solar panel engraved roads are currently being tested for efficient drives. Who thought mobile phones will be scraped off to produce the winner medals. Isn’t that pure creative genius? According to the sources, people donated 80,000 mobile phones have been donated that contain chips of gold, silver and copper. Extracting these metals will help create about 5,000 medals for the winners.